Upgrade your JK Wrangler's look with an Oscar Mike Jeep accessory from JustforJeeps.com. This chrome and flat gray logo emblem is 7 inches long and 2.75 inches tall, and it takes two to make a complete set. These individually sold badges fit any flat surface. 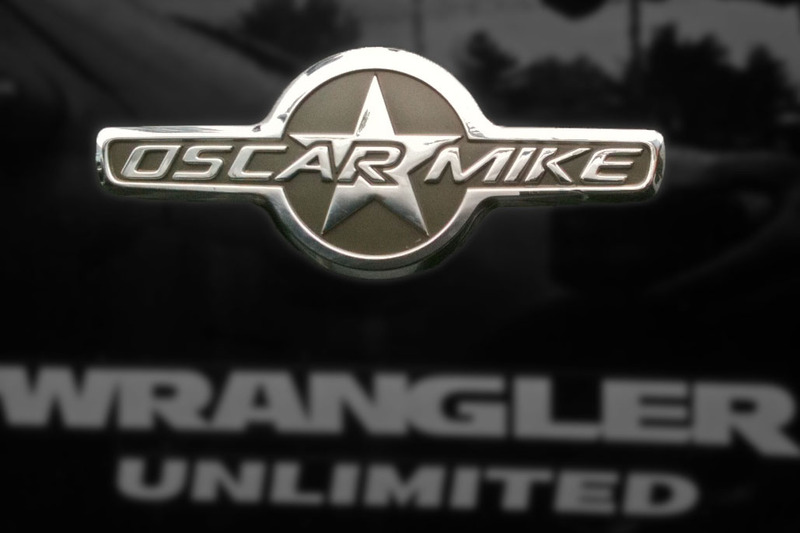 Because Oscar Mike Jeeps are so rare, this Mopar 68093911AB emblem is a must-have for your collection.